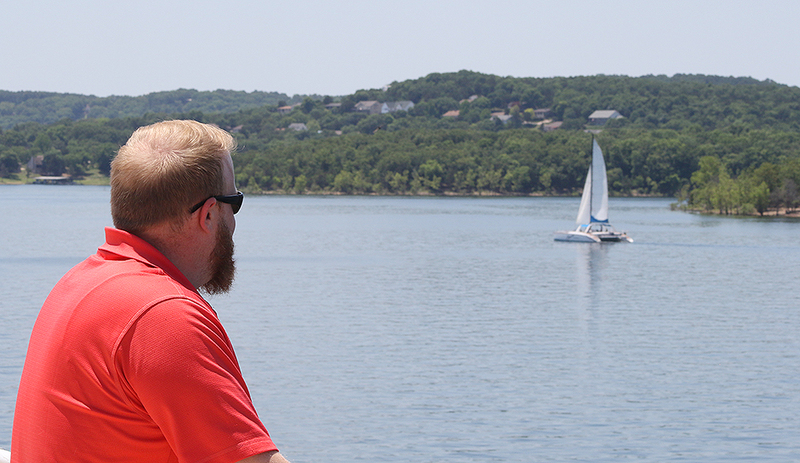 Now that the calendar has officially changed seasons, it’s time to start enjoying one of the best things about summer in Southwest Missouri: spending time on beautiful Table Rock Lake! 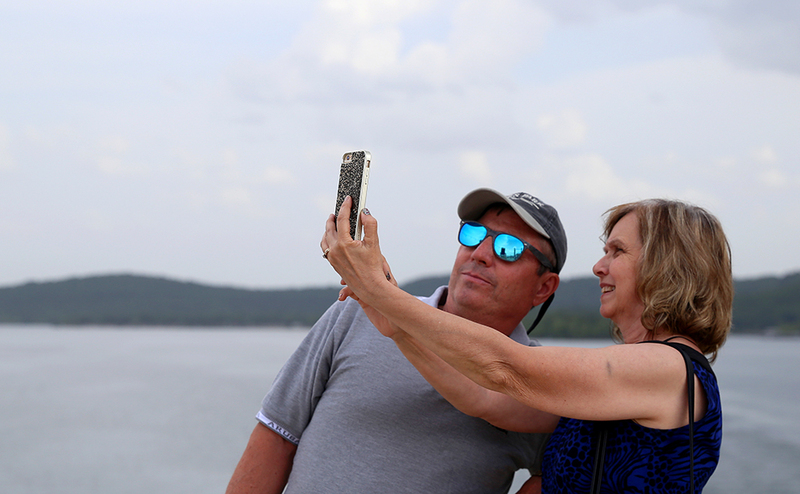 With over 800 miles of pristine shoreline, countless recreational opportunities and gorgeous views of the Ozarks from every angle, the lake is a popular destination for travelers from around the country. 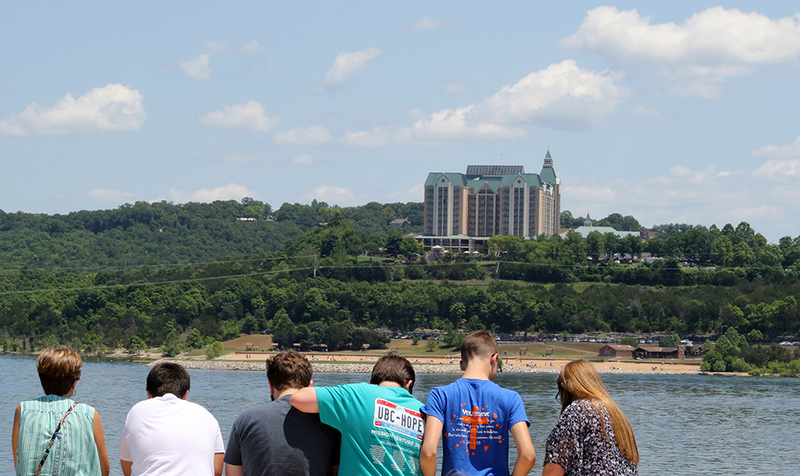 And there’s no better way to experience what summer on Table Rock Lake is all about than spending time on the top deck of the Showboat Branson Belle! At 275 feet long, 78 feet wide and more than 112 feet high, the 1890s-style paddlewheeler is believed to be the largest ship ever constructed for a landlocked lake. 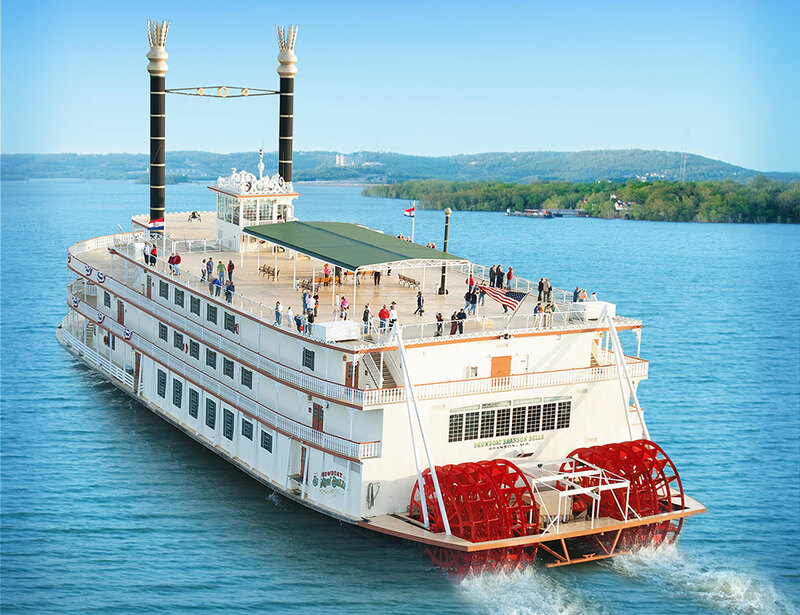 Every voyage aboard the Showboat Branson Belle includes great live entertainment, a delicious meal expertly prepared in the ship’s galley and free time to explore the vessel as it navigates Table Rock Lake. Feel the summer breeze in your hair and the sun shining down on you as you are surrounded by the natural beauty of the Ozarks! Enjoy green trees, blue skies and calm waters — plus get a different look at some well-known Branson landmarks, like the Table Rock Dam or Chateau on the Lake hotel. 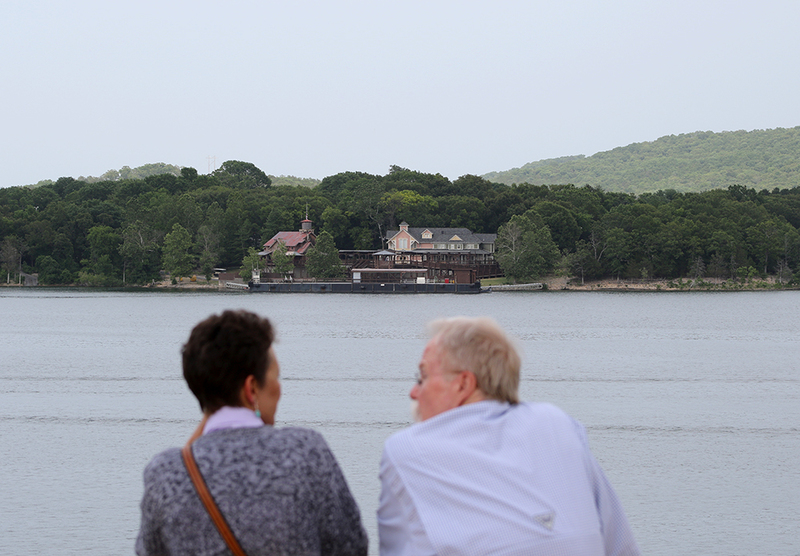 The top deck also offers eye-popping views of White River Landing, home to the Showboat Branson Belle's dock and specialty shops like McAdoo's Boatworks and Layton Mercantile. On exceptionally beautiful days, you might even see some sailors or parasailers. 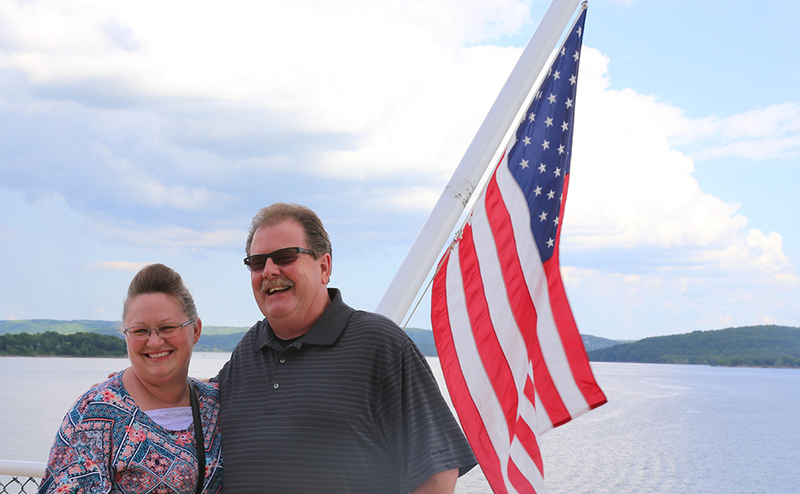 No two cruises are exactly alike, but the top deck remains the best vantage point to experience the lake! 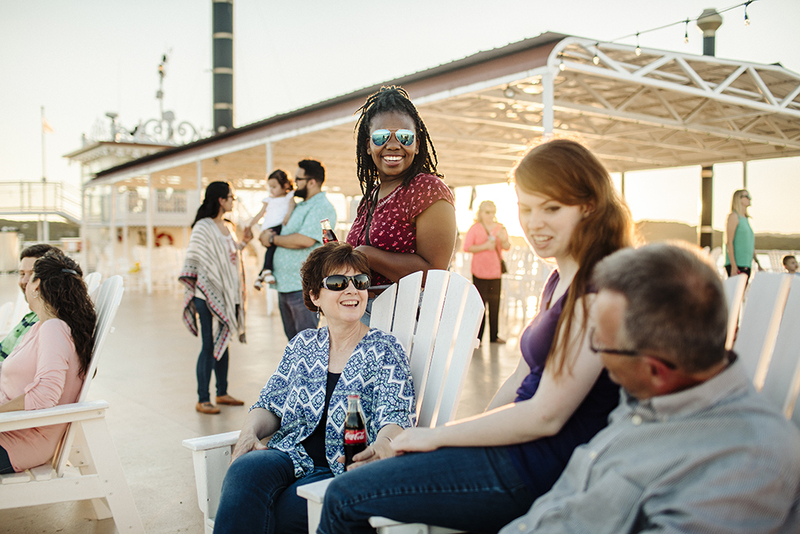 With miles and miles of beauty around you, the top deck is the perfect spot for a family photo or a special selfie. Spread your arms and proclaim yourself “King of the World,” hold your loved ones near, or channel your inner nature photographer and snap away at the shoreline! 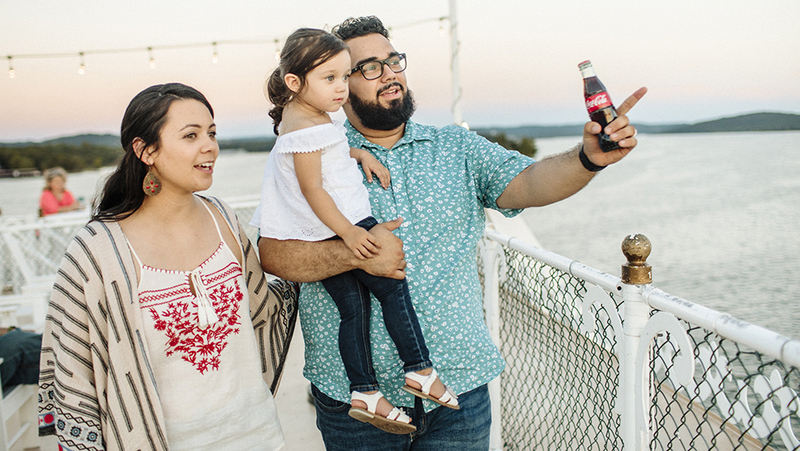 No matter what you choose to do, you’re sure to take home a collection of great vacation photos. The American flag at the rear of the boat is a particularly popular backdrop, as guests love capturing images of it catching a breeze. This patriotic scene may be the single-most photographed part of the boat. You might even spot some of the cast members enjoying the top deck before the show begins! If you're seeing our signature variety show, you're in for a special treat. 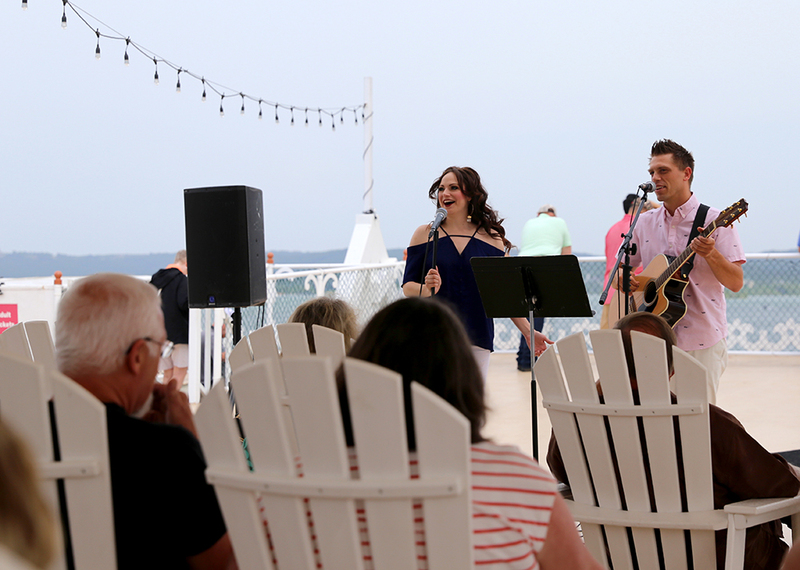 Weather permitting, musicians from the show's cast serenade you during your time atop the Showboat. Sit back, relax and listen to the soundtrack of summer! 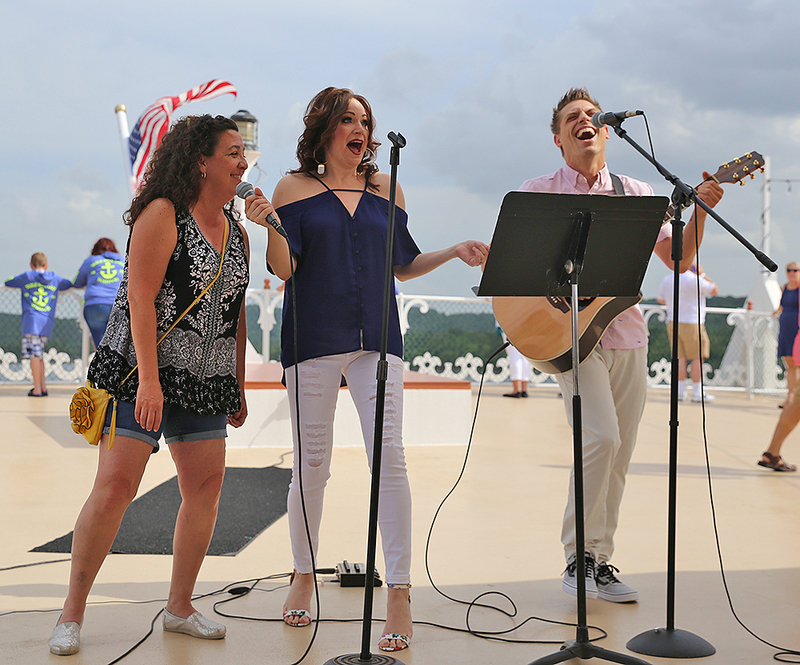 You’ll be tapping your toes and singing along as our talented cast performs songs you know and love against a gorgeous backdrop. We encourage our guests to sing and dance along to the music — some lucky guests even get the opportunity to head to the microphone and surprise our cast members with their skills! With beautiful views and great set lists, you'll want a front-row seat for these outdoor concerts. 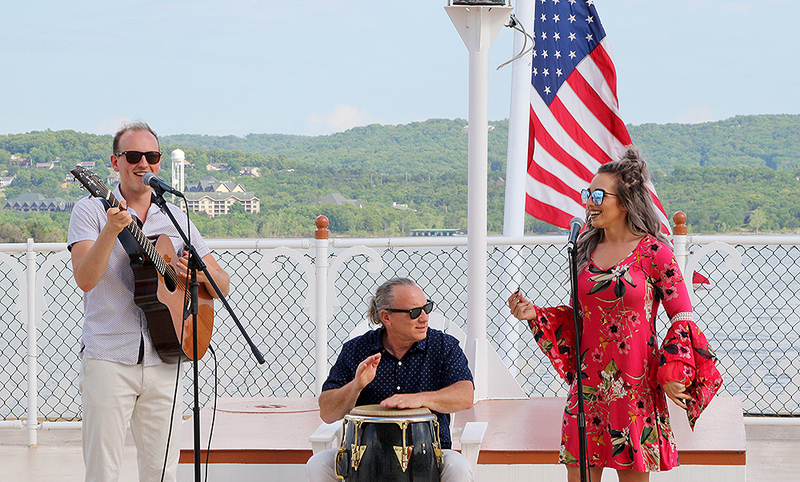 Once the live music concludes, your time on the top deck continues. It’s the perfect time to claim one of the boat’s Adirondack chairs and watch the world go by as you cruise along. The top deck is also home to the Showboat Branson Belle’s pilothouse, where the captain and his crew steer the ship. 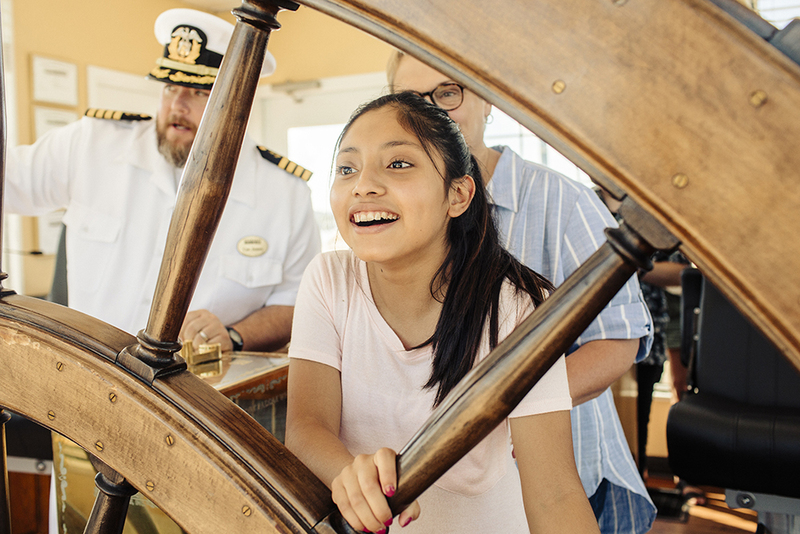 On most cruises, guests have the opportunity to swing by and meet the person in charge. 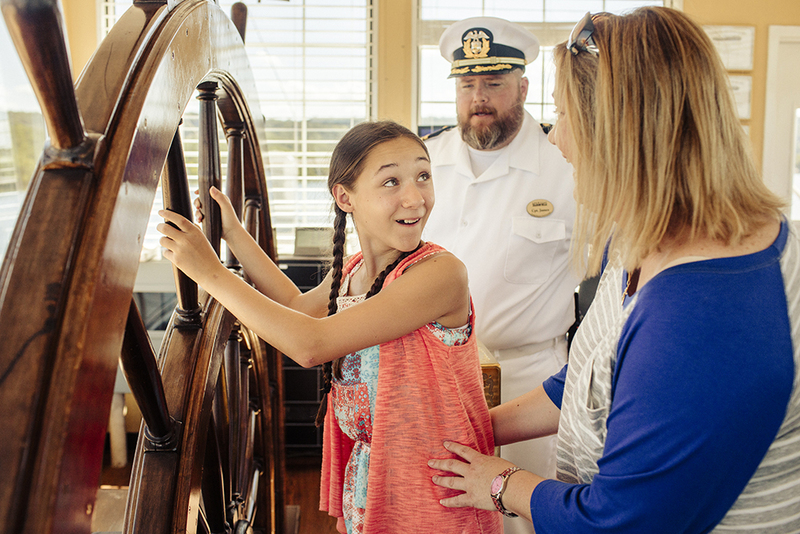 The pilothouse is also where you’ll find the Showboat’s iconic steering wheel. Measuring more than 10 feet in diameter, the maple wood wheel was restored from the C.C. Slider riverboat that carried passengers from 1928-1952. 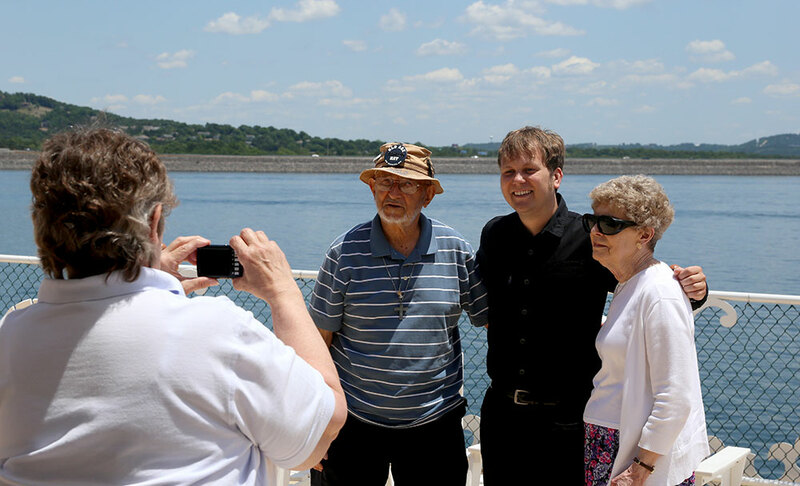 It’s a treasured piece of history from America’s storied riverboating past. ‍Your cruise time is only a part of your Showboat Branson Belle adventure. 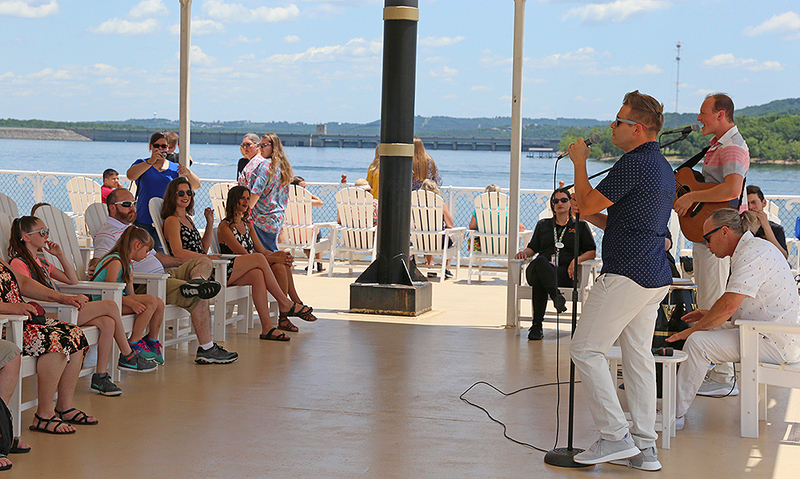 Guests who attend our Main Show spend about 2.5 hours on the lake in all, with time inside the boat spent enjoying a three-course meal and a variety show featuring magic, dancing, comedy and music from 60s to today. 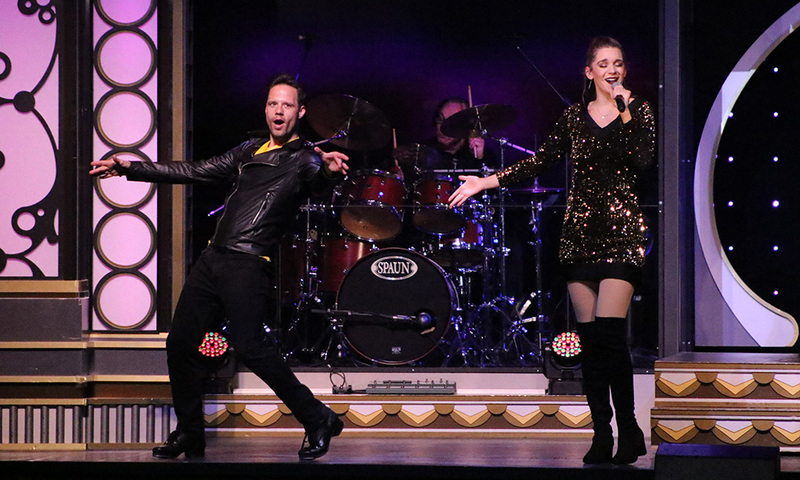 It’s performed by an star-studded cast of entertainers backed by a four-piece band. Guests who attend our Princess & Pirate Cruises have a special top deck experience, with a dance party featuring a crew of scallywags. 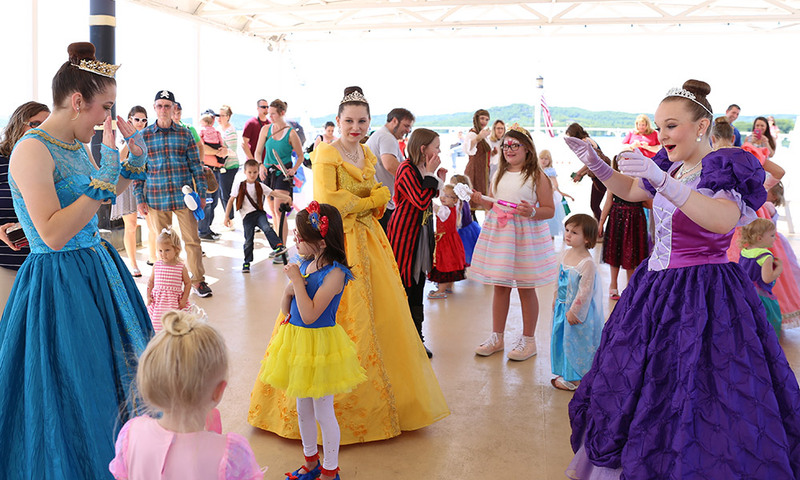 There are fun kid’s activities throughout the boat and everyone is encouraged to dress up in princess and pirate attire for the special show and pancake breakfast! Don’t miss the boat — reserve your seats for these cruises today!